The aim of this project is to undertake the first systematic scientific research on the prehistory of the Ephesos region (fig. 1). It is precisely the geographical location of Ephesos, in an area with rivers serving as means of communication into the hinterland and with a connection to the Aegean through its coastal location, which presents an immense research potential regarding questions concerning its development in prehistoric times. Furthermore, questions about its cultural and topographical origins are also significant for the micro-region of the area and constitute an important contribution to the understanding of the diachronic development of a settlement from the prehistoric epoch up to modern times. This wider interdisciplinary project focuses foremost on a tell site called Çukuriçi Höyük, situated not far away from the later famous ancient city of Ephesos. The tell was first investigated in 1995 during a short excavation in the form of two small test trenches, conducted by a team from the Ephesos Museum in Selçuk (Evren and İçten 1997). However, during the following years, a large part of the settlement hill, encircled today by fertile fruit gardens (fig. 2), was dug away, levelled, planted and watered (fig. 3). Such massively destructive methods led in the end, amongst other things, to Çukuriçi Höyuk becoming the centre of the first perennial research project on the prehistory of this region. The initial trial excavation, funded by the Austrian Archaeological Institute, took place in 2006, the first systematic excavation in 2007. Investigation will continue in the following years until 2010 and will be financed by the Austrian Science Fund (Project no. P 19859-G02). Planned as an interdisciplinary basic research project, the scientific aims are manifold. Conventional archaeological methods (excavation and finds analysis) are employed to determine the stratigraphical sequence, establish the chronology of the settlement and to gain an idea of its function and development. In addition, the surrounding environment will also be investigated. In order to pursue questions about topography and sedimentation, changes in the coastline, the kinds of raw material used and their resources, the prehistoric fauna and flora, as well as climatic conditions will be taken into consideration, drawing upon a broad spectrum of scientific disciplines such as geology, anthropology, archaeozoology, archaeobotany, geophysics, metallurgy, mineralogy, petrography, organic chemistry and physics. As far as we know, Çukuriçi Höyük comprises at least five architectural phases, preserved to a height of at least 5 metres above the ground level of the surrounding cultivated area (fig. 4). Until now, it is unclear how far the cultural layers reach in depth and how thick the alluvial sedimentation covering the original horizon of the surrounding fields. Two sectors were excavated – one in the middle of the northern border, the other one at the today’s southern end – which are not stratigraphically linked so far (fig. 5). Investigations in the northern sector of the tell revealed a settlement sequence with architectural phases dating to the Early and Late Chalcolithic, according to Anatolian archaeological terminology (after Schoop 2005), as well as to the beginning of the Early Bronze Age. The oldest level excavated until now is composed of various architectural remains (fig. 6). Two parallel walls of mud were erected on a stone basement, which can be reconstructed as a small room or a house. Postholes, pits and a contemporary stamped clay floor demonstrate two living horizons. A destruction level containing a mass of pottery, small finds, blade fragments and burnt material covers this phase and provides a clear terminus ante quem for this settlement phase (fig. 7). The analysis of finds has not been completed yet, but the preliminary results show no detectable chronological time span between the use and the destruction of this thus far oldest phase. The following architectural phase is composed of a stamped clay floor, a platform of stones and possible postholes. Stratigraphically contemporary with that phase is an inhumation burial in a stone slab cist located directly at the present-day northern edge of the tell (fig. 8). The crouched burial without any grave gifts had been placed carefully on the right side in more or less east-west direction with the face to the north. The last architectural phase in the northern section contains again a stamped clay floor and the remains of a stone basement (fig. 9). Evidence of the material used for the wall construction was not preserved. The following levels were severely destroyed by numerous recent pits, presumably intended for fruit trees. For that reason, closed archaeological contexts could not have been preserved. The present-day southern border of the tell was marked by a c. 40 m long and up to 2 m high accumulation of material situated on the tell’s highest horizon (fig. 5). While cleaning this sector it became clear, that the whole conical mass contains well preserved prehistoric architectural remains (fig. 10). Below massive layers of debris, a complex of different structures came to light. It can be postulated so far that these represent remains of several multi-room houses built of walls with stone basement and mud-bricks, which were partially preserved, having collapsed onto the floors within the rooms. After a violent destruction – possibly by an earthquake (?) – the houses were obviously abandoned and never rebuilt. This resulted in the preservation not only of numerous inner architectural elements (hearths, platforms, etc. 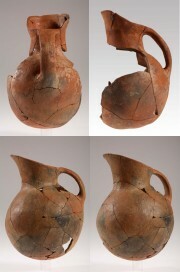 ), but also of many objects from the final phase of usage. In addition to numerous ceramic vessels, the spectrum of finds encompasses stone implements and stone tools, blades, bone artefacts, loom weights, spindle whorls, various elements of jewellery, wall plaster as well as bronze (?) needles and metal slag (fig. 11). The oldest architectural period recognised until now contains a very homogenous spectrum of pottery. For example, characteristic red and orange wares with a fine burnished surface, partly highly polished, are very common (fig. 12). Typical are shapes with a slight S-profile and vertical tubular lugs (fig. 13–14). The best parallels for these shapes can be found in the Lake District (Hacılar I, Höyücek, Bademağacı TD, Kuruçay 11–9), in the region of Izmir (Ulucak IV–V) as well as in the eastern Aegean islands (Agio Gala). 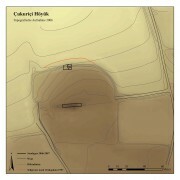 1 Following the exhaustive chronological studies of U. Schoop (2005), Çukuriçi Höyük’s oldest architectural phase is part of the Early Chalcolithic period, or it might possibly be dated to the latest Neolithic after H. Hauptmann and M. Özdoğan (2007) in relative chronological terms, which means the late 7th or early 6th millennium B.C. The material of the following architectural phase seems less distinct, but some fragments indicate a Late Chalcolithic assignment, which means 4th millennium B.C. after Schoop (2005). The succeeding architectural phases in the northern sector and the southern area of the tell encompass the Early Bronze Age I and II. Further studies of the pottery should allow a distinct sequence, yet thus far it can be postulated that both Early Bronze Age I and II are present in the settlement (fig. 15). Appropriate analogies can be found in sites from Limantepe to Troy I–II as well as in areas from Central Anatolia to the East Aegean islands. After the first systematic excavation campaign it can be determined that there is a minimum of five architectural layers, which can be dated from the late 7th or 6th millennium B.C. to the 3rd millennium B.C., whereby only the Early Chalcolithic and the Early Bronze Age (I–II) are in fact attested by distinct material as of yet (fig. 16). Further excavation will show whether or not the area was settled continuously. All architectural phases are characterised by houses made of stone basements and mud or mudbrick walls; thereby, the structures (i.e. rectangular or apsidal, size etc.) differ in detail in the individual periods. The high number of various tools (stone, bone) is indicative of the typical settlement production. In particular, the mass of obsidian blades and chips, as well as cores of different materials, suggest the local production of stone tools in Çukuriçi Höyük (fig. 17). A few metal objects made of copper/bronze have to be analysed still, but the occurrence of metal slag and fragments of moulds in the latest phase point towards a local metal production as well. Having gained an impression of the chronological span and variety of the tell, further investigations will focus on details as well as comprehensive studies on each individual phase of the settlement. Starting from the top, the well preserved Early Bronze Age architecture, which could be excavated only in small parts in 2007, will be investigated in a larger area in the future. Çilingiroğlu, A. et al. 2004: Ulucak Höyük. 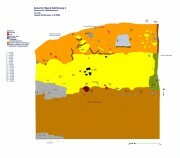 Excavations conducted between 1995 and 2002. Louvain, Paris, Dudley. Duru, R. and G. Umurtuk 2005: Höyücek. Results of the Excavations 1989–1992. Ankara. Duru, R. 1994: Duru, R. Kuruçay Höyük I. Results of the Excavations 1978–1988. The Neolithic and Early Chalcolithic Periods. Ankara. Duru, R. 2005: “Bademağacı Kazıları. 2002 ve 2003 yılları çalışma raporu.” Belleten 252: 519–560. Duru, R. 2007: “Der Siedlungshügel von Bademağacı.“ In Die ältesten Monumente der Menschheit. Landesausstellung Baden-Württemberg im Badischen Landesmuseum Schloß Karlsruhe 20.1.–17.6.2007, edited by Badisches Landesmus. Karlsruhe, 143. Stuttgart. Hauptmann, H. and M. Özdoğan 2007: “Die neolithische Revolution in Anatolien.“ In Die ältesten Monumente der Menschheit. Landesausstellung Baden-Württemberg im Badischen Landesmuseum Schloß Karlsruhe 20.1.–17.6.2007, edited by Badisches Landesmus. Karlsruhe, 26–36. Stuttgart. Evren, A. and C. Içten 1997: “Efes Çukuriçi ve Arvalya (Gül Hanım) Höyükleri.” Müze Kurtarma Kazıları Semineri 8: 111–133. Erkanal, A. and H. Erkanal 1983: “Vorbericht über die Grabungen 1979 im prähistorischen Klazomenai/Limantepe.“ Hacattepe Üniversitesi Edebiyat Fakültesi Dergisi 1983: 163–178. Erkanal, H. and S. Günel 1995: “1993 Liman Tepe Kazısı. XVI.“ Kazı Sonuçları Toplantısı I: 263–279. Erkanal, H. and S. Günel 1996: “1994 Liman Tepe Kazısı. XVII.“ Kazı Sonuçları Toplantısı I: 305–328. Erkanal, H. and S. Günel 1997: “1995 Liman Tepe Kazısı. XVIII.“ Kazı Sonuçları Toplantısı I: 231–260. Felsch, R.C.S. 1988: Das Kastro Tigani. Die spätneolithische und chalkolithische Siedlung. Bonn. Hood, S. 1981: Excavations in Chios 1938-1955. Prehistoric Emporio and Ayio Gala. Oxford. Lichter, C. (ed. )2005: How Did Farming Reach Europe? Anatolian-Europaean Relations from the Second Half of the 7th through the First Half of the 6th Millenium Cal BC. Proceedings of the Internat. Workshop Istanbul, 20–22 May 2004. Byzas 2. Ankara. Lloyd, S. and J. Mellaart 1962: Beycesultan I. 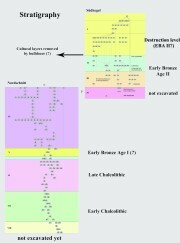 The Chalcolithic and Early Bronze Age Levels. Occasional Publications of the British Institute of Archaeology at Ankara 6. London. Mellaart, J. 1970: Excavations at Hacılar. London. Schoop, U.-D. 2005: Das anatolische Chalkolithikum. Eine chronologische Untersuchung zur vorbronzezeitlichen Kultursequenz im nördlichen Zentralanatolien und den angrenzenden Gebieten. Urgeschichtliche Studien 1. Großschönau. 1 Mellaart 1970; Duru and Umurtuk 2005; Duru 2005; idem 2007; Çilingiroğlu et al. 2004; Hood 1981. Horejs, B. "Çukuriçi Höyük. A New Excavation Project in the Eastern Aegean." 4 Feb. 2008. In: Horejs, B. - Pavúk, P. (eds. ): Aegean and Balkan Prehistory. http://www.aegeobalkanprehistory.net/index.php?p=article&id_art=9 (23 Apr. 2019).